Urakam Devaswam Office is an old building that stands adjacent to the Temple. The traditional architecture somehow gives the building a nostalgic beauty. Yellow colored doors and windows, old stone lamps built right into the wall and the blue balcony work together to create this magical feeling. 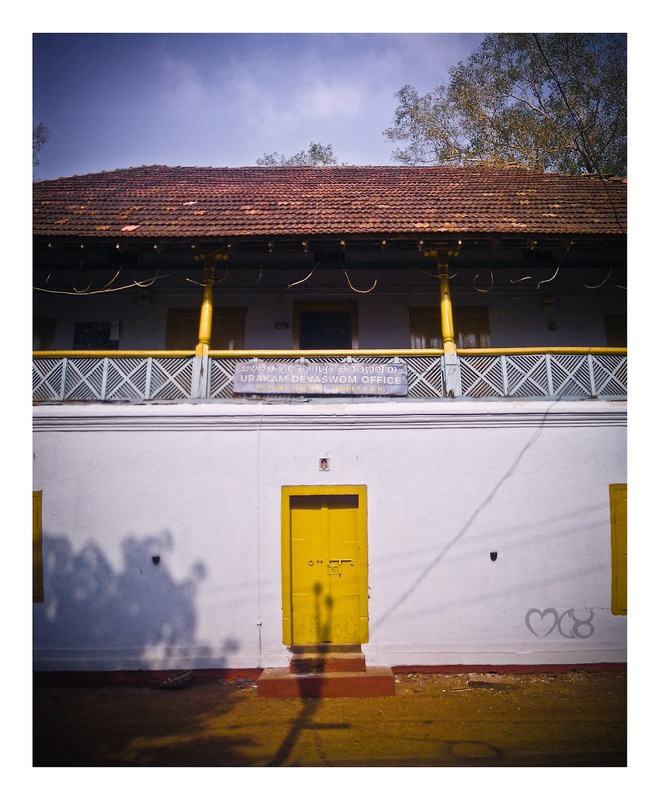 So here is the Devaswam Office for those who have not yet seen it yet.